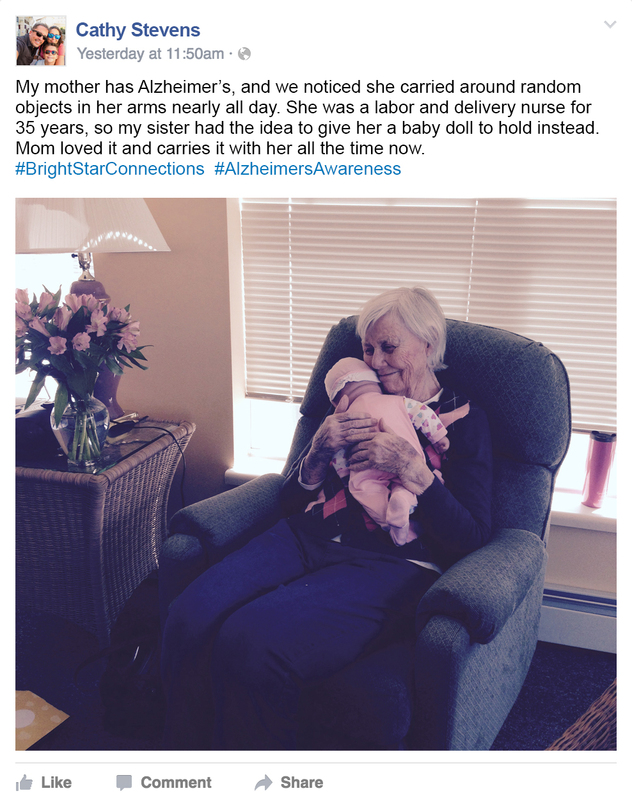 As part of National Alzheimer’s Awareness Month, BrightStar Care is sharing stories, with permission, that showcase real, personal stories of connections between clients, family care partners, and BrightStar Care caregivers for Gainesville seniors. Do you know a caregiver who has formed a special connection with a loved one living with Alzheimer’s or dementia? How have they made a difference in your loved one’s life? Gainesville seniors: Don’t forget to like our Facebook page so you are sure to see all of the helpful tips and information we share about Alzheimer’s disease as well as get ideas to help care for a loved one with dementia all month long.